CẦN THƠ — Visitors to Việt Nam’s south-western region (the Mekong Delta) are attracted by the floating markets in the region. The region is known as ‘the land of rivers’ and the lives of locals are closely associated with boats and the waterway market culture. 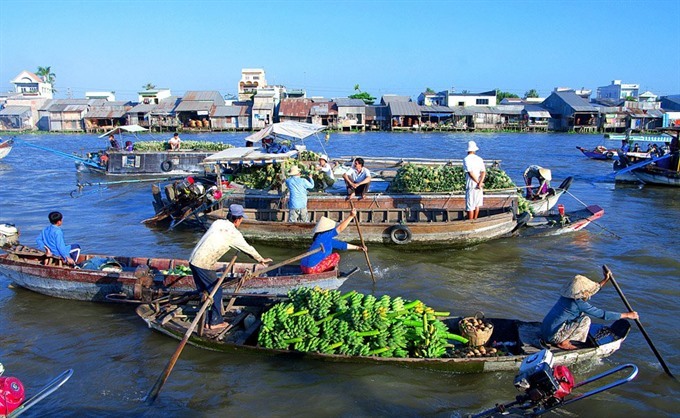 Travelling from HCM City to the country’s southern tip, Cà Mau Cape, visitors can discover numerous floating markets, including Cái Bè in Tiền Giang province, Cái Răng in Cần Thơ, Phụng Hiệp in Hậu Giang, Ngã Năm in Sóc Trăng, and Gành Hào and Thới Bình in Cà Mau.